In the swelling of my soul that this passage induced there was irony to be found, though I suspect it was lost on me at the time. I also suspect that there was an earlier and more prosaic encounter, but as my memory bears no impress of it, let this one signify the moment when Nietzsche claimed yet another captive. A list of thinkers who at one time or another were captivated by Nietzsche cannot fail to impress: Heidegger, Sartre, Camus, Foucault, Buber, Rilke, Auden, Shaw, Gide, Malraux, Mann, Hesse, Freud, Jung, Weber, to name but a few. What is so remarkable is not simply the magnitude of thinkers who were influenced by Nietzsche, but the degree to which they were influenced. Spengler professed that there were two men to whom he owed “practically everything: Goethe and Nietzsche.” Yeats read Nietzsche, whom he referred to as “the strong enchanter,” so much that he “made [his] eyes bad.” “Zarathustra,” wrote Eugene O’Neil, “has influenced me more than any other book I’ve ever read.” My own experience is captured best in a confession made by Leo Strauss: “Nietzsche so dominated and bewitched me between my 22nd and 30th years, that I literally believed everything I understood of him.” The years of my bewitchment differed slightly, but Nietzsche’s spell over me was no less complete. Though he no longer dominates, he continues to enthrall me as perhaps no other thinker ever has nor ever will. It was then with a good deal of anticipation that I decided to devote a semester to Nietzsche, introducing him to a dozen or so undergraduates. In my limited experience, I have found that those classes about which a professor feels passionately offer the greatest rewards — for professor and pupil alike. That I would profit from the experience I never had any doubt, but it remained to be seen what my students would take away from it. If “truly speaking, it is not instruction, but provocation that [one] can receive from another soul,” I hoped, at a minimum, to provoke them. Teaching is such a paradoxical endeavor: alternately uplifting and disheartening; enriching and fruitless; noble and inane. There are days when I feel it is my calling to lead a classroom and days when I feel I have absolutely no business doing so. From some of my classes I would like to think inestimable benefits were gleaned and from others I doubt that anything of consequence was gained. A teacher naturally wants to reach each and every one of his students, but often must settle for impacting only a small fraction of them. Perhaps more so than most, a class on Nietzsche was predisposed for such an outcome. Clearly, Nietzsche is not for everyone, a verity that stands in spite of there being something for everyone in his corpus. I neither expected to find a classroom full of Nietzscheans at the start of the semester nor harbored any proselytistic designs to fill the classroom with Nietzscheans by semester’s end. But Nietzsche is not the sort of philosopher one reads impassively; one need not affirm his views to be affected by them. As I commented to my students, if Nietzsche at one time or another has not offended or discomfited you, you probably have not been reading him. 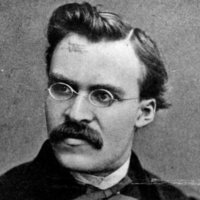 I would be reluctant to express that opinion again, for many of my students who did read Nietzsche were not in the least disquieted by what he had to say. One could chalk this up to Nietzsche’s triumph, in that our age has been so pervasively and indelibly colored by his philosophy that ideas, which once might have been troubling, are today, at most, intriguing. Presumably the pronouncement “God is dead” must have sounded more portentous in the 19th century than it does in the 21st. This explanation, while tenable, is confounded by the fact that many of Nietzsche’s ideas have lost none of their antagonistic force; indeed, the case could be made that the force of some of those ideas only has increased with time. In this regard, consider his teaching that “preachers of equality” are animated by a spirit of revenge, not justice, or his various remarks on women, the acerbity of which cannot remain lost on even the most insensate of readers. “God is dead” sounds today, whether one accepts his point or not, almost platitudinous. One could not say the same of Nietzsche’s insistence that woman’s desire “to become self-reliant . . . is one of the worst developments in the uglification of Europe.” Yet when confronted with such sentiments, my students tended to do what so many do when they happen upon unpalatable thoughts in Nietzsche’s writings: dismiss them. The phlegm my class maintained in the face of Nietzsche’s broadsides did not betoken his triumph, but his defeat. Or rather, it suggested that his hopes are far less compelling than his fears. In an age when Halloween costumes will trigger paroxysms of rage and Donald Trump’s election engendered widespread and debilitating bouts of despair, these students were incongruously stoical when faced with the prospect that we are but “children of chance and misery,” members of a “wretched and ephemeral race” whose aimless and arbitrary existence will be consigned to oblivion whence it came. Henry Adams observed that it is not unusual to turn away one’s eyes as one approaches a chasm, but one cannot avert one’s gaze from what one does not detect. At bottom, it seemed my students could find nothing abysmal in Nietzsche’s philosophy because they could perceive no abyss. The mere idea that ours might be an age of crisis — crisis of faith, of meaning, of purpose — was one they never seemed to have entertained. Tangible crises of the sort climate alarmists foretell were old hat for these young minds, but the prospect of a spiritual crisis — a civilizational one to boot — was another matter. To get them to appreciate why ours might be an age of crisis, as well as appreciate what Nietzsche means by the death of God (the central event of or catalyst for this crisis), I asked them to ponder the earth’s age. Kepler and Newton each calculated the earth to be, in their day, a little under 6,000 years old. Like so many good people in the age before God’s death, they believed that the Bible (the word of God) was not a story or some figurative account of man’s origins and relation to the divine, but was historically accurate and literally true and on that understanding, they established a biblical chronology with which they determined that the earth was created around 4,000 B.C. Today, lesser minds know the earth to be a little over 4.5 billion years old. Kepler and Newton’s was not a rounding error. Of course, my students, who belong to the Digital Revolution, not the Scientific one, were too learned to countenance the follies that had led Kepler and Newton astray. While some of them were faithful churchgoers, none entertained the idea that the Bible was factually or literally true. They proclaimed as much, with a mix of pride and derision, as if to say, “is this the best you got? Are you going to tell us next that the earth is not flat and expect us to freak out?” It was apparent that much as they did with the chasm, they failed to see the point. Until that time my life had passed enveloped in a faith that hadn’t even allowed doubt to penetrate into my soul. Then doubt entered, or rather hurtled in with an incredible violence, not only doubt about one thing or another in particular, but an all-embracing doubt. All of a sudden I experienced the sensation people talk about who have been through an earthquake when, the ground shakes under their feet, as do the walls around them, the ceilings over their heads, the furniture beneath their hands, all of nature before their eyes. I was seized by the blackest melancholy, then by an extreme disgust with life — though I knew nothing of life — and was almost prostrated by agitation and terror at the sight of the road that remained for me to travel in this world. Strong passions drew me out of this state of despair; they turned me away from the sight of these intellectual ruins and led me toward tangible objects. But still, from time to time, these feelings experience in my early youth… take possession of me again. Then once more I see the world of ideas revolving and I am lost and bewildered in this universal motion that upsets and shakes all the truths on which I base my beliefs and my actions. I was not aiming to foment a crisis; to instill in my students the blackest melancholy and an extreme disgust with life. I simply wanted them to appreciate what it means to teeter on the precipice; to glimpse what those whose foundational truths have been shaken if not shattered experience; and to encourage them to contemplate how the fundamental truths upon which our beliefs and actions are based can be preserved after “we unchained the earth from its sun.” We are aimlessly adrift in a cosmic void: is that not grounds for dismay, for despair, for terror, for — perhaps — a crisis? My existentially imperturbable pupils remained phlegmatic. It was unclear if I was failing them or they me. Every teacher who takes his charge seriously and himself not too seriously must consider the possibility that those occasions when students are not “getting it” owe more to the teacher’s limitations than to those of his students. Teaching Nietzsche is a challenge and I have no doubt that in my neophytic efforts, I did not always rise up to it. Nevertheless, I am somewhat incredulous that success would have been achieved were I only more seasoned. My students were inwardly oriented in such a fashion that I fear success would have remained elusive, whatever the season. Perhaps a precondition for being receptive to Nietzsche or for being provoked by him is that one’s mind must be open — or openable. A mind that is made up, in which boundaries have been firmly and narrowly circumscribed, is not likely to be receptive to the queries and quandaries Nietzsche — or any great thinker, for that matter — raises. When I meditate on my own youthful encounters with Nietzsche and Kierkegaard, Dostoyevsky and Kafka, Emmerson and Camus, I have no doubt they were transformative. My soul metamorphosed; it expanded; inner recesses and outer vistas, which hitherto not only had been unexplored, but unimagined, were exposed. Answers I never before doubted were questioned; questions I never before considered arose. I was not subject to the seismic convulsions that racked Tocqueville in his youth, but I was unsettled all the same. A soul impervious to doubt is rent from its moorings and finds itself cast adrift upon the limitless seas of becoming. To what extent my students have had such experiences or are even open to them is unclear. To be sure, such transmutative events are apt to happen without warning and without intention. Tocqueville did not seek to transform his soul; fate conspired against him or in his favor (depending on one’s view of the matter). If some whippersnapper in my class has not been subject to such transmutations, it does not follow that he or she never will be. And besides, I am a professor, not a prophet: I do not presume to divine what lurks in the distant reaches of my students’ souls. There were, notwithstanding, two occurrences over the course of the semester that leave me doubtful. One stemmed from a discussion on the nature of the human soul. As any careful reader of Beyond Good and Evil can attest, in spite of his summary condemnation of Plato, Nietzsche espouses a number Platonic ideas, not the least of which is that philosophers are rulers by nature. This notion is difficult for today’s students to stomach. Their egalitarian convictions compel them to conclude that no one is naturally fit to rule another and, on account of philosophy’s precipitous decline over the centuries, especially not the philosopher. To get them to consider the issue less reflexively, I asked them if there are individuals who understand the human condition better than others; individuals whose own souls are so profound and comprehensive that they see more, feel more, experience more than others typically do; and, should there be such people, if they enjoy certain privileges or responsibilities. One might say a parent naturally rules a child because a parent “knows best.” Could one say something similar about the philosopher vis-à-vis non-philosophers? My students struggled with the more elemental question — are there such beings? — so I reapproached the matter: How well do we understand the human condition? How well do we understand ourselves? Nietzsche, who according to Freud possessed “a more penetrating knowledge of himself than any man who ever lived or was likely to live,” likens the human soul to a huge, primeval forest that has yet to be reconnoitered. Is he right? A couple of students belatedly and begrudgingly conceded he might be, but the consensus seemed to be that he was wrong. If there are any frontiers left to explore, they are beyond us, not within us. Perhaps they were right. Or perhaps their attitude is symptomatic of the reigning dogma of our day — modern science — and its emphatically un-Platonic imperative: “Where man cannot find anything to see or to grasp, he has no further business.” Are we at risk of expunging our depths because we are indisposed to acknowledge, let alone plumb them? Signs of this indisposition were displayed early on in the semester. The second occurrence, which chronologically preceded the first, transpired during our reading of Thus Spoke Zarathustra. In the prologue, after spending ten years in solitude, Nietzsche’s godless prophet enters a town and delivers a series of orations wherein he introduces the concepts of overman and last man. The former, a being who will stand above man as man stands above the ape, is intended to inspire the people to aspire to something beyond themselves. The latter, proffered when the people fail to be moved by talk of the overman, is intended to shame their pride by showing that what they consider most estimable is, in fact, most contemptible. Is Nietzsche correct about man’s declivitous drift and if so, should the specter of the last man alarm us? Those who spoke up largely agreed that the unfolding of history adumbrated such a denouement, though a couple students insisted that we never would get there, either because there always would be problems to surmount or because, owing to our nature, we never will be completely satisfied with what we have and so will strive for something else, if only for the sake of striving. The second question appeared to leave my students nonplussed, so much so that we were forced to table it until a later class. When we did take it up again, it turned out that the reason for their silence was not uncertainty or befuddlement, but sheepishness. They were reluctant to celebrate what Nietzsche so roundly condemned. Their reluctance was overcome when one student casually confessed, “actually, being a last man doesn’t sound so bad.” That was enough to loosen the tongues of his peers who voiced their support for his position. Without design and without irony, life imitated art. These students, like the townspeople Zarathustra confronts, longed to become last men. In many ways, the collective longing of my students came as no surprise and yet when it did come to light, I found myself dispirited nonetheless. Was there any point teaching Nietzsche to a group of aspiring last persons? When the townspeople clamor to be turned into last men, Zarathustra realizes that he is not the mouth for their ears and vows never again to speak to the people. Was there a similar lesson to be learned? Ought life once more to imitate art? Friedrich Nietzsche, On Truth and Lie in an Extra-Moral Sense in The Portable Nietzsche, tr. Walter Kaufmann, (New York: Penguin Books, 1982), 42. Oswald Spengler, The Decline of the West (Volume I: Form and Actuality), (New York: Alfred A. Knopf, 2000), xiv. William Butler Yeats to Lady Gregory (1902). Eugene O’Neil to Benjamin de Casseres (1927). Leo Strauss to Karl Löwith (1935). Ralph Waldo Emerson, “An Address” in The Essential Writings of Ralph Waldo Emerson, (New York: Modern Library, 2000), 66.
whatever you want.” Kurt Tucholsky quoted in Steven E Aschheim, The Nietzsche Legacy in Germany: 1890-1990, (Berkeley: University of California Press, 1992), 274. Friedrich Nietzsche, Beyond Good and Evil in Basic Writings of Nietzsche, (New York: Modern Library, 2000), 352. Friedrich Nietzsche, The Birth of Tragedy in Basic Writings of Nietzsche, 42. Henry Adams, The Education of Henry Adams (Boston: Houghton Mifflin Company, 1918), 34. Friedrich Nietzsche, On the Uses and Disadvantages of History for Life in Untimely Meditations, tr. R.J. Hollingdale, (New York: Cambridge University Press, 1997), 112. So that there is no confusion on this score, Nietzsche maintains that biblical morality cannot be preserved honestly in the absence of the biblical God. And though many ardent atheists today would be loath to concede it, modern morality, with its celebration of egalitarianism, compassion, pacifism, and the like, remains inherently biblical. See, for example, Friedrich Nietzsche, The Gay Science, tr. Walter Kaufmann, (New York: Vintage Books, 1974), 329. Alexis de Tocqueville to Madame Swetchine (1857). Friedrich Nietzsche, The Gay Science, 181. Given the power of its prose and its relevance to the point being made, it is worth quoting “The Madman” – the parable from which this line is taken – in full. Quoted by Ernest Jones in his biography of Freud, Sigmund Freud: Life and Work, Vol. II, (New York: Basic Books, 1953), 344. Friedrich Nietzsche, Beyond Good and Evil, 311. Leo Strauss, “The Three Waves of Modernity” in An Introduction to Political Philosophy: Ten Essays by Leo Strauss, (Detroit: Wayne State University Press, 1989), 97. Ralph Waldo Emerson, journal entry, April 20, 1834, in Emerson in His Journals, (Cambridge: Harvard University Press, 1982), 123. David A. Eisenberg is an Assistant Professor of Political Science at Eureka College. He received his B.A. from Trinity College in Connecticut and his M.A. and Ph.D. from Claremont Graduate University. Previous he was Associate Director for Academic Affairs at Columbia University and an Adjunct Assistant Professor in the Department of Political Science at Baruch College. His work has appeared in The Montreal Review, The Fortnightly Review, Front Porch Republic, and Shofar: An Interdisciplinary Journal of Jewish Studies, among other places.